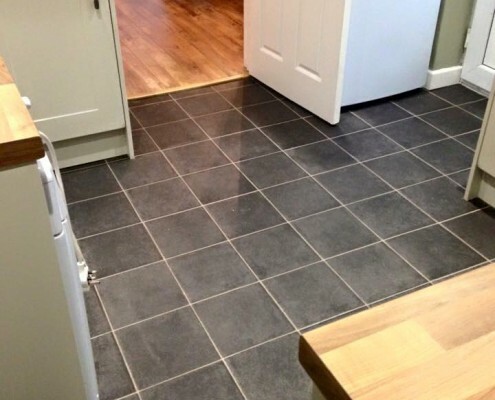 Vinyl floor is a great alternative to tiles and wooden floor in areas rooms you expect to get wet like the bathroom, kitchen or utility room as it’s totally waterproof and can just be mopped up easily if especially if you have pets at home too. 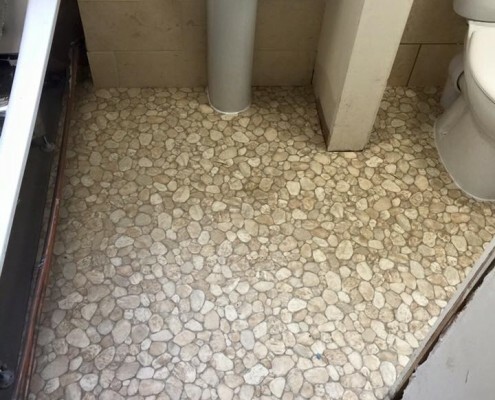 Vinyl floor would be a much better option for a bathroom than laminate as laminate can bubble up if water seeps between the seems and gets underneath but you won’t have that problem with our great selection of vinyl flooring at Stores 4 Floors in Pontyclun near Talbot Green, South Wales. 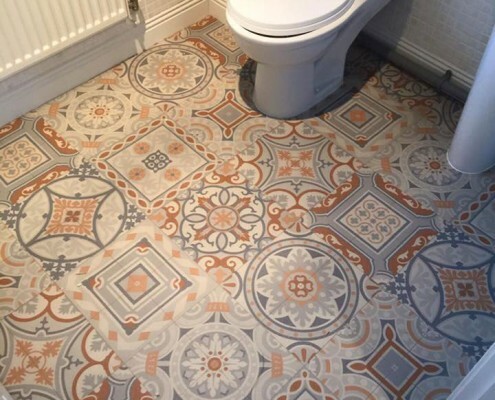 If you’re torn between the look of tiles but the practicality of vinyl then we have some great looking tile effect vinyl so yo can get the best of both worlds and without the higher cost of getting the tiles fitted. 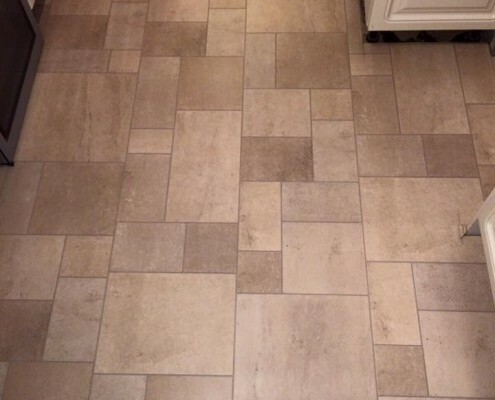 You really can’t tell that the vinyl isn’t tiles unless you take a good look up close. With Plenty of classic and modern designs and coloured vinyl in stock you will be hard pressed not to find something you like but also at a great price at Stores 4 Floors, South Wales.